Hi, I’m Sue, when I traveled USA, I surprised something. I found many big, huge size foods. 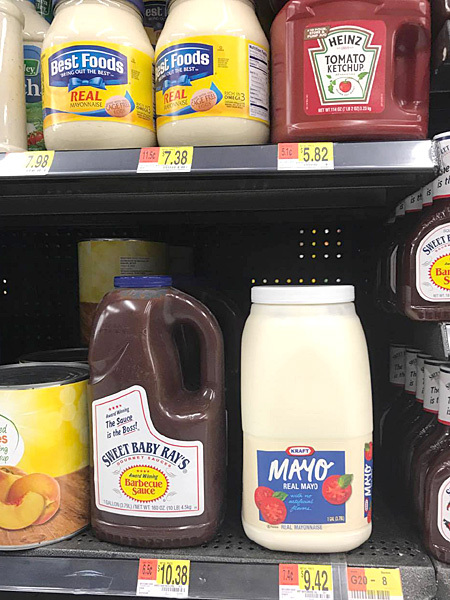 So, there is huge Mayonnaise in USA too. We don’t have such huge size in Japan. 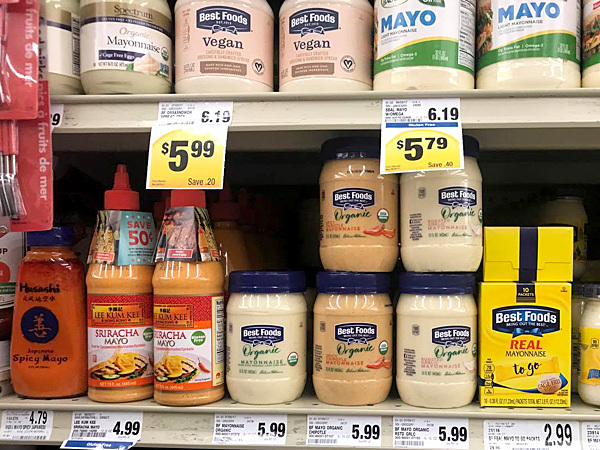 Well, my friend David who live in San Francisco took Mayonnaise photos for me! This is a Mayonnaise in Super market near David’s house. The type of bottles are Glass bottles or plastic bottles. 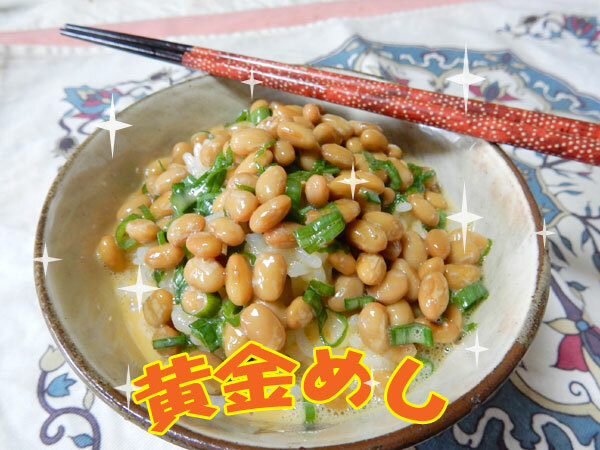 It’s different from Japanese Mayonnaise. 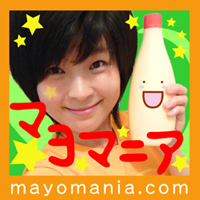 Japanese Mayonnaise bottles are soft bottles, easy to squeeze. 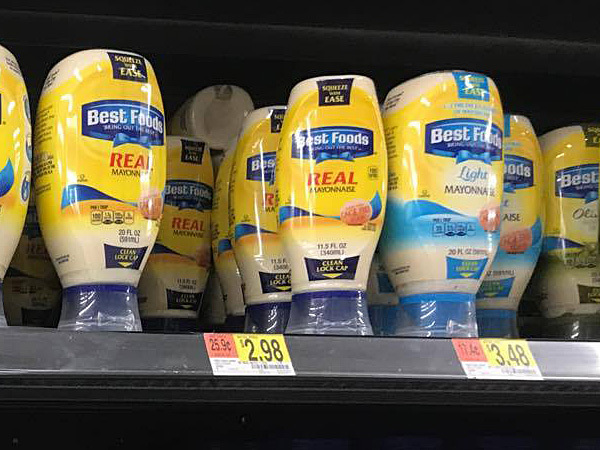 USA mayonnaise bottles are many kind of shapes, but Japanese one is just 1 shape. 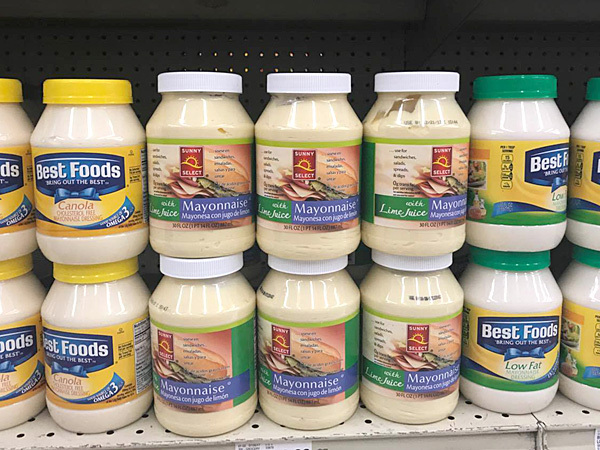 Oh, these mayonnaise designed for upside down. So nice idea, easy to use mayo. In Japan, we put upside down by ourself but not designed actually. Left one’s name is “Japanese Spice Mayo”? Huh? 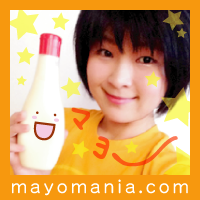 We don’t have such a brand in Japan, chili pepper mayonnaise also rare too. I wonder where it’s come from? They just wanted put the name Japan not China?? *Sriracha is famous city for many Japanese people live there. The sauce made by chili, vinegar, garlic, sugar and salt. Sriracha sauce is famous in USA already? But not in Japan yet. Chili mayonnaise, Roasted garlic mayonnaise on the middle, it’s rare in Japan too. I wonder most of canola oil in USA are GMO? Low fat one is too white, I guess it’s not good for health. Well then, David moved to walmart. Hey, it looks like milk but Mayo!? 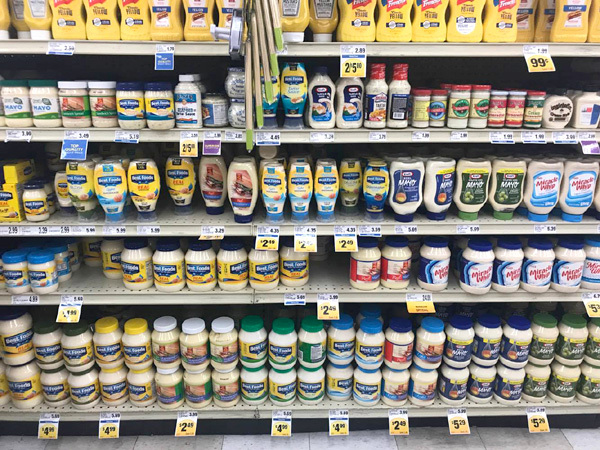 How someone use all the mayo!? For party? Incidentally, BBQ sauce and ketchup are huge too. I took this photo in Hawaii when I went there loooong years ago. 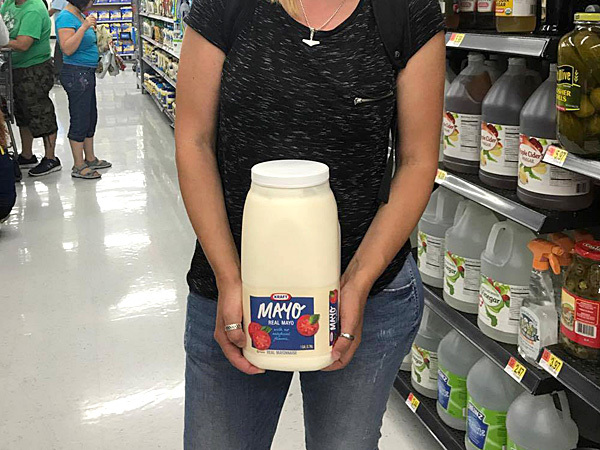 It was the first time I saw huge mayonnaise in my life. Where you put such huge mayonnaise in a fridge!? Can’t put any other foods!! # Glass or plastic bottles. # Many kind of shapes and size. 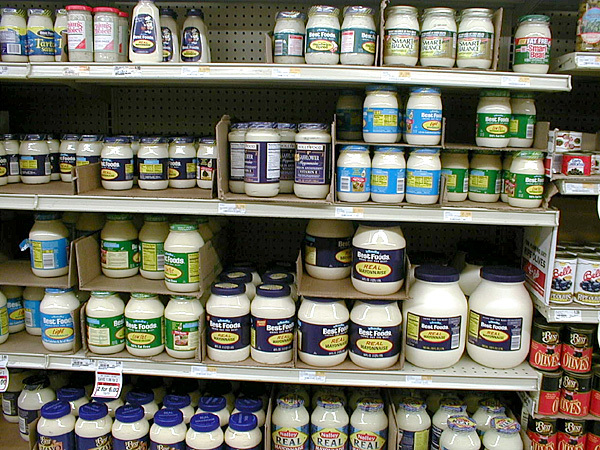 # Mayonnaise colors are white, not smooth, not sour. I have to take photo with huge bottle with me next time.